Bronx Community Health Network, Inc. (BCHN) is celebrating Fruits & Veggies—More Matters® Month by promoting the many benefits of eating plenty of fruits and veggies. 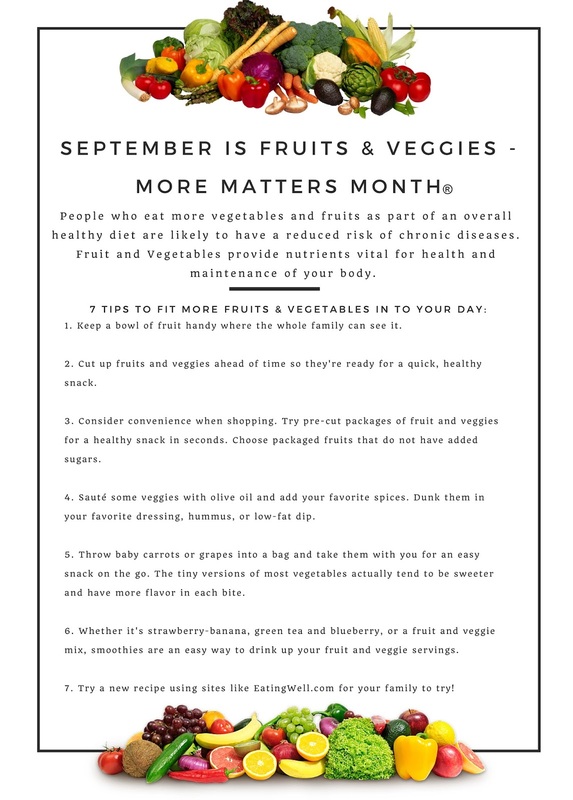 Fruits & Veggies—More Matters® Month highlights the importance of healthy eating in keeping our community strong and healthy. Adding more fruits and veggies to your diet doesn’t have to be expensive—there are many low-cost (or not cost!) alternatives, like adding chopped vegetables to pasta sauce or replacing your afternoon bag of chips with an apple. And simple changes like these can really pay off—eating healthy can help lower the risk of many chronic diseases like heart disease and type 2 diabetes. Fruits and veggies are also delicious! This is a great time to try a new recipe that features produce—or to bring home a fruit or vegetable that your family hasn’t tried before for fun. Remember, good habits start early—if you have kids, encouraging them to eat lots of fruits and veggies can go a long way in helping them develop healthy eating habits that will last a lifetime. Currently, BCHN is leading the Bronx REACH CHAMPS initiative to increase access to healthy foods in the Bronx. This is part of a larger initiative by the Centers for Disease Control and Prevention (CDC) to increase access to healthy foods in communities. For more information, visit bronxreachchamps.org.